Pocket Gettysburg for Android (and iPhone and iPad) is now available! Come by to see our Graphical Order of Battle! For late-breaking news and information, visit our blog! Get a taste of the Segway PT™ experience by watching our introductory video below. Experience the history and enjoy the ride! 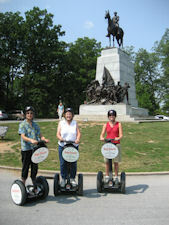 Segway PTs™ are environmentally-friendly (no gas, no fumes, & almost no noise), easy to learn, and just plain fun to ride. The focus of tours is on the history of the battlefield, however. Tours visit all of the main historical sites and are directed by a Licensed Battlefield Guide. Our most popular tour by far! This tour visits both ends of Pickett's Charge, the Lutheran Theological Seminary, Little Round Top, the Peach Orchard, Wheatfield, Devil's Den, the High Water Mark, and more. It takes approximately 3 hours (including training) and covers about 9 miles with 4 rest stops. The cost is $70 per person plus tax and optional gratuity. The tour is escorted by a staff person who plays a recorded tour by a Licensed Battlefield Guide. A live guide is available for a small additional fee. Click for more details about this tour. We recommend the "Western" route for those who want a very good general understanding of the battle. A tour on a lesser-known part of the battlefield (Culp's Hill, Spangler Spring, East Cemetery Hill) with a live Licensed Battlefield Guide. 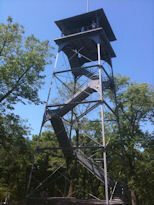 The tour takes approximately 2 hours (including training) and covers about 4 miles with a rest stop at the Culp's Hill observation tower. The cost is $50 per person plus the Licensed Battlefield guide fee (Click for details) plus tax and optional gratuity. Click for more details about this tour. Note that, unlike the Western tour described above, the Eastern tour requires a live Licensed Battlefield Guide. We recommend the "Eastern" route for those who already have a good general understanding of the main battlefield and are interested in the history of lesser-known parts of the battlefield. 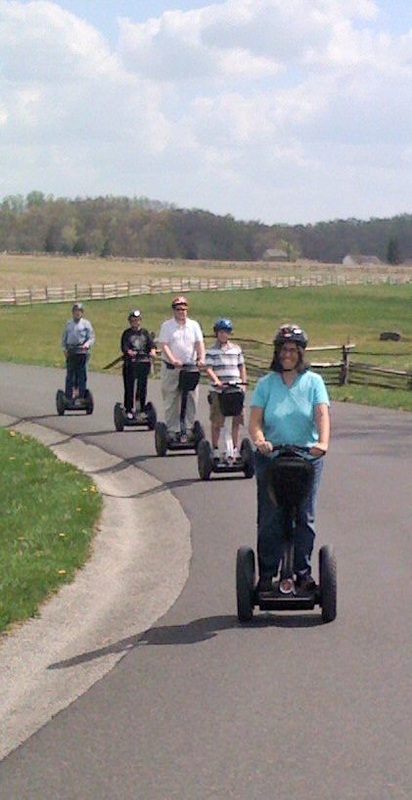 NOTE: If you are simply looking for a short Segway experience, we strongly recommend the Outdoor Ride (see below) instead. You'll not only ride faster and a little farther but it will be less expensive than the Eastern tour. Upon request, we may be able to customize a tour for you in an area of the battlefield or town that is not normally visited by our tours (e.g., Oak Hill, East Cavalry Field, South Cavalry Field, Gettysburg College, the town cemetery, etc.). 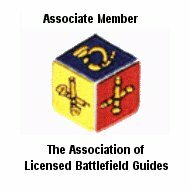 Specialty tours are directed by a Licensed Battlefield Guide or other appropriate authority. Your cost will be quoted at the time that your reservation is confirmed. Specialty tours may require the pre-approval of the National Park Service, the Gettysburg Borough Police Department, or other authorities, and should therefore be booked at least 14 days in advance. To request a specialty tour, please call us at 717-253-7987. All tours are escorted (no rentals, sorry! ), include opportunites to dismount and take photos as well as a water and restroom break. Training and helmets are provided at no additional charge. For those who want to ride and are NOT interested in an historical tour. Your ride will be escorted by a staff person and will last 1.5 hours, including approximately 30 minutes of mandatory video and hands-on training. The cost is $45 per person plus tax and optional gratuity. Click for more details about an Outdoor Ride. We recommend the "Outdoor Ride" for those who simply want to experience the Segway PT™ and are not interested in an historical tour. For those who just want to try the Segway PT™ in our indoor training area. 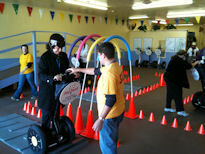 Those who graduate the initial training can try their hand at our new Segway PT™ Obstacle Course! Take an indoor ride for 40 minutes ($10 plus tax). This time includes approximately 30 minutes of mandatory video and hands-on training. Click for more details about the Indoor Ride. We recommend the "Indoor Ride" for those who want a brief and exciting experience on the Segway PT™. Since it is indoors, it is also the ideal way to experience the Segway PT™ during inclement weather. Questions? For answers to other common questions (including tour times, reservations, and cancellations), please see our "FAQs - Frequently Asked Questions" page. Copyright (c) 2019, SegTours, LLC. It is not a scooter, it is a Segway PT™! Segway, Segway Personal Transporter, and Segway PT are trademarks of Segway, Inc.